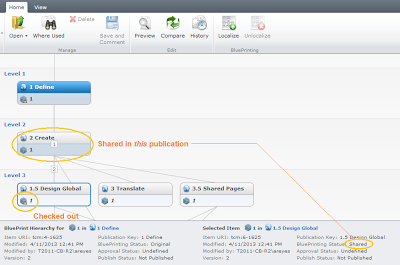 As you start working with a larger SDL Tridion BluePrint, especially in a multi-lingual setup, it gets harder knowing where and how your content and pages are used across publications. The Where Used feature gets you most of this information, but also consider using the BluePrint Viewer to see and navigate to an item's variations in other publications. Tip: open the viewer enough to see your selected item information in the bottom-left corner. The pop-up may hide this useful information if it's too small. 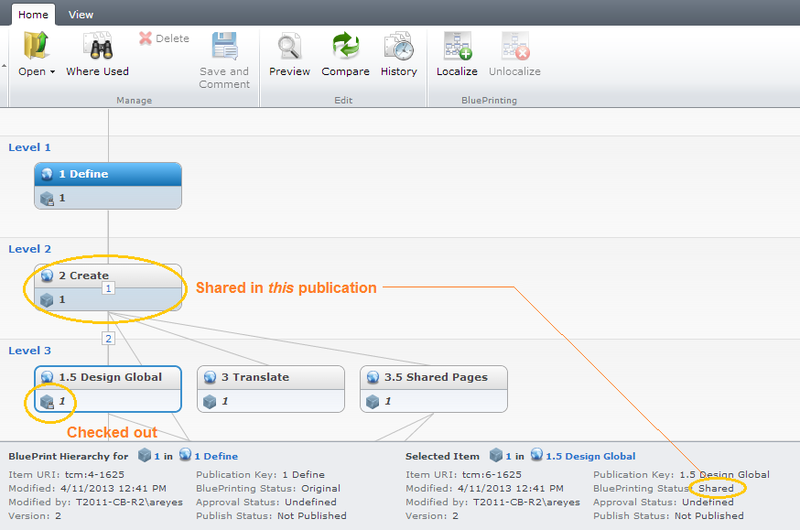 See checked-out and sharing status as well as where the item's original parent exists. It's GPS for your BluePrint!